Welcome to the Richmond-Perrine Optimist Club, Miami, FL Website! The Richmond-Perrine Optimist Club is a private non-profit organization that has served the youth, the poor, the elderly, the unemployed and the disadvantaged in South Miami-Dade County for over 40 years. Since 1971, it has provided a multitude of social services, from Pop Warner Football and Cheerleading/Dance, Youth Counseling and Guidance Programs, Work Experience and Job Opportunities, Paint-up/Fix Up Services to homes of the elderly, Summer Camps, Community Gardens for Senior Citizens, Distribution of Surplus Food and Clothing to the needy, Tutoring Services, Employ-ability Skills Training Classes, Oratorical Contests, Scholarships, and others. 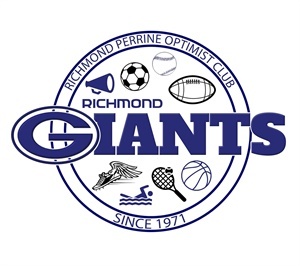 The list of services and activities provided by the Richmond-Perrine Optimist Club seem endless. The Agency has struggled against all odds in its continuing quest to help those that they could in the South Dade Area. When very few people or organizations were concerned with the less fortunate and disadvantaged in South Dade, the Richmond-Perrine Optimist Club was there! A long list of concerned people, too numerous to list here, at one time or another contributed to this civic and charitable effort. Thank you for visiting our website, we hope that after you see all that we do, you will consider joining us to help make our South Miami-Dade neighborhood a better community.